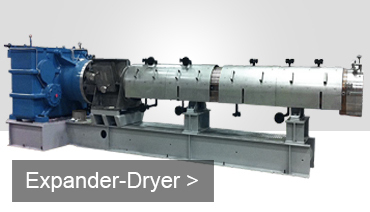 Anderson International has been manufacturing synthetic rubber dewatering and drying machinery since the early 1950s. With nearly 70 years of experience in the industry, we have developed the expertise to provide our worldwide client base with the necessary design, metallurgy, R&D, total plant layout, installation supervision, and start-up training necessary for the efficient performance of the entire system. Our talented and knowledgeable staff apply their expertise in projects ranging from individual units for existing installations as well as complete plant system machinery. With experience as an engineering and manufacturing company, we provide the latest state-of-the-art process controls for our systems, including everything from project management, design, process, and R&D. Our engineers combine their efforts to provide the products and services required to keep up with today’s growing productivity demands. Providing the shortest time under temperature conditions known. 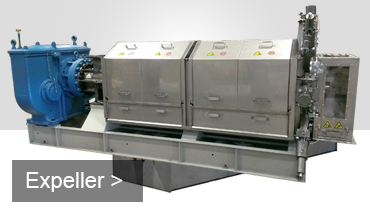 The combination of the Expeller® dewatering press and the Expander-Dryer® provide the shortest time under temperature conditions known. This maximizes control, guaranteeing highest quality products, minimizes space requirements, reducing capital investment costs, and maximizes versatility in capacity and polymers dried.